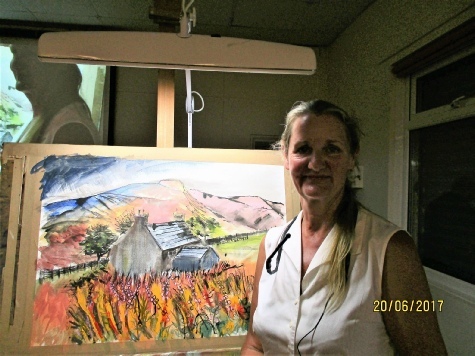 On what was a very hot evening, over 50 members came to watch Pauline demonstrate a beautiful mixed media landscape. 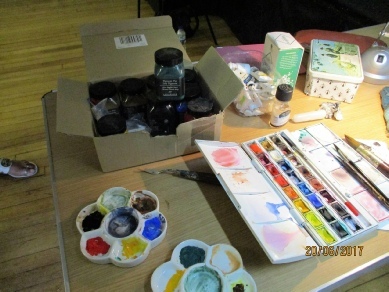 Pauline stood in at short notice, and we were lucky to see a vibrant demonstration of lively and assured painting and mark making. 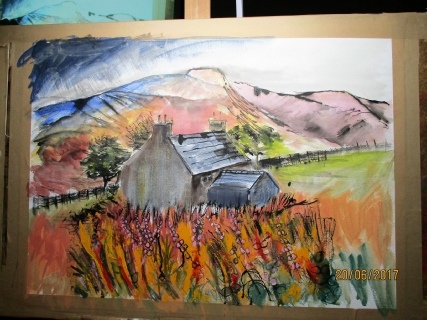 Using soluble inks, powder pigment, watercolour and gouache Pauline thrilled us with her use of colour and tools. 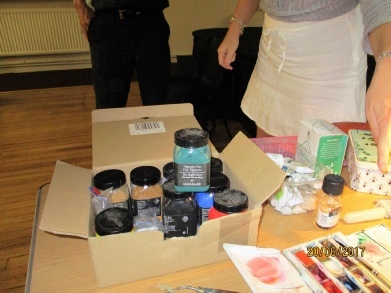 Thank you Pauline for a fab demo!